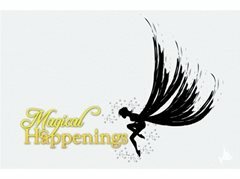 Magical Happenings is searching for an enthusiastic, engaging performer!! Do you love kids and making dreams come true? Please send your resume and current headshot for consideration. • Run Games, Magic show, Sing-a-Longs, and Storytelling etc. • Engage with children from all ages and gender.